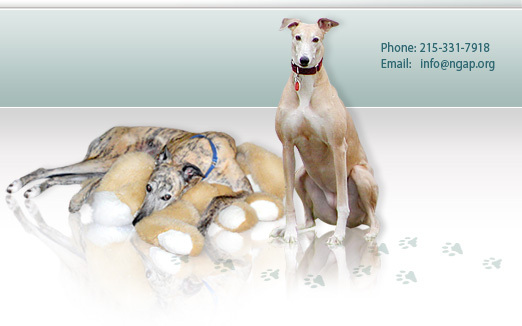 Our facility sees well over a thousand greyhounds each year under anesthesia protocol and have, in turn, seen many galgos, or Spanish greyhounds. Over the years, we have found that galgos have a significantly slower recovery time from anesthesia than greyhounds under the same anesthesia protocol, under similar conditions and having similar surgeries. Our anesthesia protocol almost always includes some combination of dexdomitor. 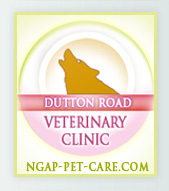 We feel it is a very safe anesthetic drug and is excellent for greyhounds. 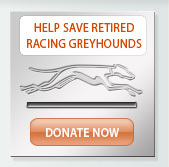 We have never lost a greyhound or galgo under anesthesia protocol using dexdomitor/antisedan. That being said, the easiest way to ensure a safer, easier recovery when anesthetizing a galgo is to introduce intravenous fluids during the procedure. Although a full recovery may take longer, they have always been just fine. 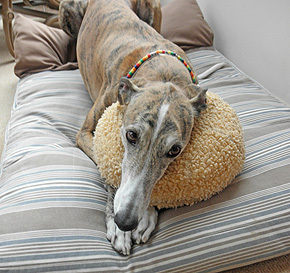 The above photo is of Tye, one of my own galgos. I currently have two brothers in my home.